Like the ones yesterday, the single versions can be used in your word process software. 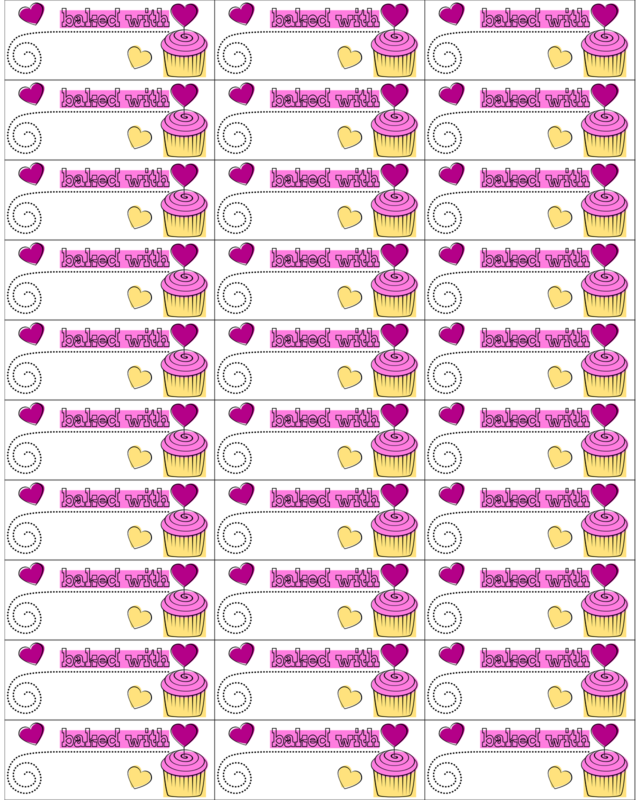 The whole sheets can be printed out and cut apart for tying to gifts or taping/gluing to your home baked presents. I colored these with an offset screen print look because I really like that effect and don't use it nearly often enough. Black and white versions to color, chalk, etc yourself or to have a child do it for something they baked as a gift. Click on the images for larger versions. 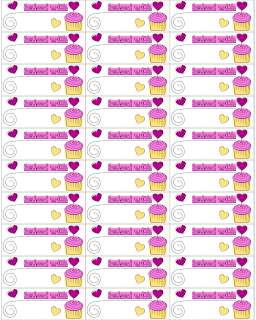 Check out my printable cupcake boxes and my review of the book Zombie Cupcakes.